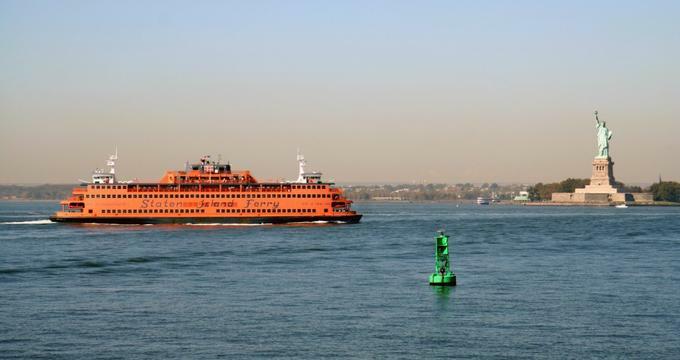 From the bustle and excitement of one of the world’s largest cities, to the quiet towns, kid-friendly resorts, and seasonal foliage of upstate New York to the beaches of Long Island, the state has something for everyone. Museums, historic houses, botanical gardens, art galleries, forts, and stately churches attract history and horticulture lovers. Located in the northeastern part of Cornell’s campus, Cornell Botanic Gardens is a living museum that consists of a rich botanic garden and arboretum, making the campus one of the most beautiful in the country. The gardens are organized around the Nevin Welcome Center and include areas for ornamental and useful herbs, rhododendrons, heritage vegetables, perennials, ornamental grasses, groundcovers, conifers, a bioswale garden, plants in containers, and much more. The F.R. Newman Arboretum is a 100-acre space that contains wonderful collections of oaks, crabapples, maples, conifers, urban trees, dogwoods, nut trees, and many other tree species. There is also a collection of flowering shrubs, streamside gardens, and pleasant overlooks, which invite you to take a break to enjoy the magnificent view of the surrounding rolling terrain. Kykuit, the Dutch word for “lookout,” is the name of the Rockefeller mansion in the Hudson River Valley, which was the residence for four generations of the oil tycoon and philanthropist family. Completed in 1913, the house is in neo-Georgian style, and its 250 acres feature vast gardens filled with beautiful sculptures by some of the world’s greatest sculptors. The house overlooks the Hudson River with a view of the New York City skyline twenty-five miles south, and the ground floor and basements may be toured year round with a docent. Art lovers will be amazed at the priceless works hanging on the walls; the Rockefeller’s collection of the 20th century art includes pieces by Chagall, Picasso, and Warhol. Chinese antiquities and European ceramics are also on display. Another highlight of the tour is the carriage house, which contains the family’s classic cars and horse-drawn carriages. One World Observatory is located on the 100th floor of One World Trade Center, also known as the Freedom Tower. At 104 floors, One World Trade Center is the tallest building in New York City, and offers unparalleled 360-degree views of Manhattan, Brooklyn, and New Jersey. Access to the tower’s observatory is via Sky Pod, a super-fast elevator that climbs to the 100th floor in under a minute. For the truly brave, there is a 14-foot glass floor on the observatory level that allows visitors to walk one hundred stories above Lower Manhattan with a clear view to the ground. Floor 101 has three dining options for visitors: a café, an artisanal small plate bistro that serves international cocktails, and a reservations-only fine dining restaurant. The Observatory also includes a special events area that can be rented for private gatherings. The Top of the Rock Observation Deck is a viewing space built to resemble an ocean liner atop 30 Rockefeller Plaza, the iconic art deco building at the heart of Rockefeller Center. Built in 1933 by the Rockefeller family, the seventy-story building is now owned by Comcast. 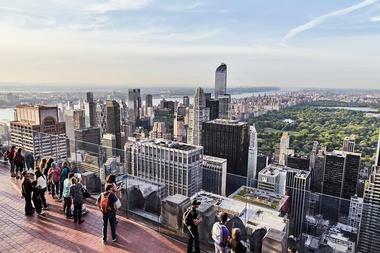 The Observation Deck was closed for two decades to allow for renovations; it re-opened in November 2005 and is now a popular attraction, offering panoramic views of New York City. Tickets may be bought that include a trip to the observation deck as well as a tour of the building. Tour guides will point out its spectacular art and architecture and tell stories from its ninety-year history. Cave of the Winds is an extremely popular tourist attraction on the American side of Niagara Falls. The original natural cave behind Bridal Veil Falls was destroyed in a rockslide in 1954. Now the area behind Bridal Veil Falls is covered in redwood boardwalks and viewing platforms, ready to receive the tourists who descend 175 feet in a specially built elevator. Ponchos and slippers are provided for each visitor, but it should be noted that you will probably get very wet anyway, as the power and might of the falls is like a tropical storm and soaks everything in the immediate area. The wooden platforms are removed every year in the late fall to prevent ice damage and are replaced in the spring; special tours are offered in the spring to visitors interested in watching park workers put the boardwalks back into place. St. Patrick's Cathedral is a New York City landmark, a popular tourist attraction, and the seat of the Archbishop of the Roman Catholic diocese of New York. Completed in 1878 and opened in 1879, St. Patrick’s Cathedral was built in the American Gothic Revival design and seats 2,400 people. The magnificent and beautiful building has twenty-one altars, each named for a different saint, and a Lady Chapel that was added in 1901 and which features stunning English stained glass. The main doors of the cathedral are made of bronze and carved with images of the saints, and each weighs nearly 10,000 pounds. Nearly five million people a year tour St. Patrick’s Cathedral, joining a guided group tour or a walk-in tour. The Cathedral has two gift shops and informative signs throughout the establishment. George Eastman was the founder of Eastman Kodak Co., and the visionary who helped popularize photography and made the art of movie making possible. His estate, opened to the public in 1949, is now the home of vast photographic and cinematographic archives, and it is a must-see stop for anyone with an interest in the history of film and photography. The mansion and gardens may be toured alone or with a knowledgeable docent; the gardens are beautifully laid out and peaceful. 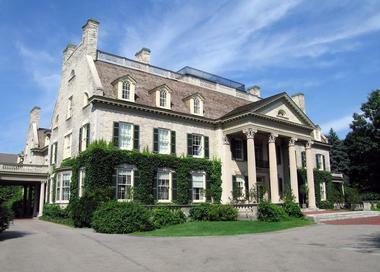 At all times there are at least three temporary galleries open with displays related to George Eastman’s life and work, and a 500 seat theater shows over 300 films every year. With advance registration, visitors can participate in hands-on workshops. The Statue of Liberty is one of the best-known monuments in the world; it has graced New York’s harbor for over a hundred years, and it is a much-loved tourist destination. Built in 1886 by Gustave Eiffel, who also constructed the Eiffel Tower, the statue was gift to the United States from the people of France. Entirely made of copper, it sits on a stone pedestal that was funded by private donations. Tourists wishing to climb the spiral staircase to the statue’s crown must make reservations, as only 240 people a day may make the climb. Advance reservations are also required for those who wish to mount the pedestal and see the museum inside it. 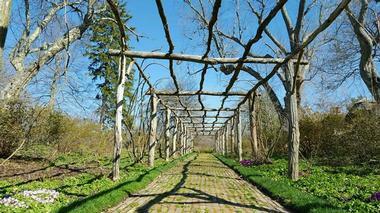 Visitors who come just to tour the grounds may buy tickets on the day of their visit. The National Park Service maintains the statue, and ranger-guided tours of the park are available daily. The National September 11 Memorial and Museum commemorate the attacks on the World Trade Center’s Twin Towers on September 11, 2001, the related attacks near Shanksville, PA and at the Pentagon, and the World Trade Center bombing of 1993. 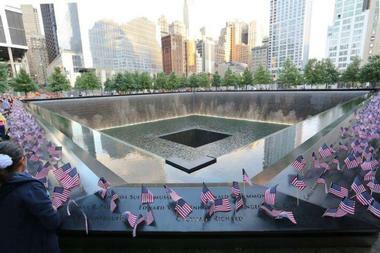 The names of the nearly 3,000 victims of these attacks, which included many rescue personnel, are inscribed on bronze panels around twin reflecting pools that are each nearly an acre in size and sit in the footprints of what were once the Twin Towers. Often called The Showplace of the Nation, Radio City Music Hall is one of New York City’s most beloved attractions. Located in Rockefeller Center, Radio City Music Hall opened in 1932, and spent its early years showing premieres of first-run movies, which were accompanied by stage shows by the Radio City Rockettes. The National Baseball Hall of Fame and Museum has been operating in a red brick building on Main Street in Cooperstown, New York since 1939. Designed to honor excellence on and off the baseball field, the museum is a widely renowned and popular tourist destination, as well as home to the world’s leading scholars on the sport, who work out of the museum’s library and research facility. The museum focuses on hall of fame inductees, and self-guided tours take visitors through audio, video, interactive, and computerized displays throughout its three floors of baseball artifacts. There are special exhibits on Babe Ruth, African Americans in baseball, baseball scouting, and women in baseball. Specialty behind the scenes or customized tours may be arranged, and the museum has a gift shop. The Corning Glass Works founded the Corning Museum of Glass in 1951 to celebrate its 100th anniversary. Now considered the foremost glass museum in the world, it celebrates 3,500 years of glassmaking and presents to the public the art, history, culture, science, and craft of glassmaking. Self-guided tours take visitors through a myriad of exhibits on diverse topics such as the history of glassmaking, the rise of Venetian glassmaking, crystal, paperweights, and glass from all around the world throughout many time periods. All day, every day, visitors can watch glass being blown while a narrator explains what is happening. 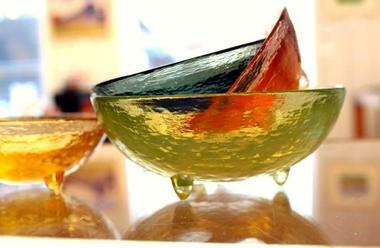 Glassmaking classes are available for all levels of students, and there is an unparalleled gift shop. 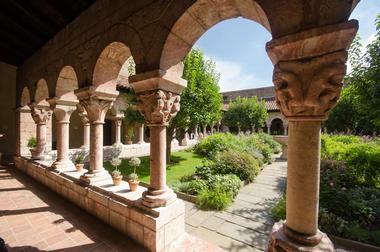 The Cloisters are a division of the Metropolitan Museum of Art, located in northern Manhattan in Fort Tryon Park. It is a long subway ride from downtown Manhattan, but well worth the trip. Cloisters and chapels from medieval Europe form the architecture of this stunning gallery of medieval European art. Between the years 1903-1905, world-renowned architect Frank Lloyd Wright built the Darwin D. Martin house for a wealthy Buffalo, New York businessman. Considered by many scholars to be Wright’s finest achievement, the home is an example of his Prairie School period, with overhanging eaves, strong horizontal lines, and a central hearth. The house is actually comprised of several interconnected buildings that include the main house, the carriage house, a conservatory, and the gardener’s cottage. Reservations are strongly suggested for those wishing to tour the inside of the house; docent-led tours take place three times a day between Thursday and Monday of each week. A small gift shop is on site. The New York Botanical Garden, located on 250 acres in the Bronx, contains over one million plants from temperate, tropical, and desert regions of the world. 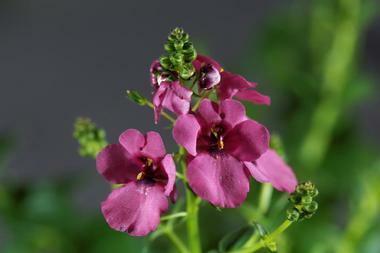 The gardens are heavily focused on education and conservation and offer gardening classes for all ages, as well as supplementary courses for adults in botany, botanical illustration, landscape gardening, and art therapy. Between 1755-1757 during the French and Indian Wars, French engineers built Fort Ticonderoga on the southernmost tip of Lake Champlain in upstate New York. The fort was originally known as Fort Carillon, and it was built to resemble a star, a popular defensive shape for fortresses of the 18th century. The fort is a wonderful place to spend an afternoon or a full day. Staff members in period costume give guided tours and lead demonstrations of period crafts, and there are excellent educational displays all through the fort. There are daily firings of muskets and the cannon, and fife and drum corps play on site during the summer months. The fort has both a café and a gift shop. 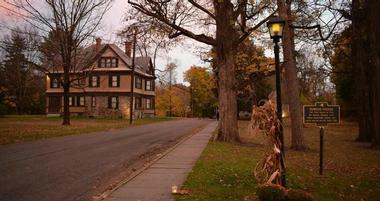 The Farmers' Museum, in Cooperstown, New York, presents visitors with a look at rural and village life during the 19th century. 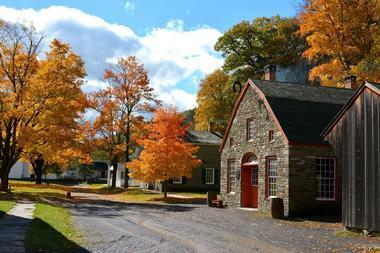 Situated on the shores of Otsego Lake, over two dozen original historic buildings and a stone barn are filled with docents and historical re-enactors demonstrating traditional ways of life; activities include cooking over a fire, blacksmithing, and printing. Many of the items made by the re-enactors are available for purchase in the General Store or in the museum’s gift shop. There are many displays of traditional farming implements and fields full of heritage livestock. Educational programs are available for families, school groups, and for adults. For a nominal fee, visitors may ride the hand carved 1943 carousel or go on horse-drawn wagon rides. The museum has several places where food and drink are available for purchase. The Empire State Building has been an iconic New York City attraction since it was completed in 1931. Rising high at 102 stories and 1250 feet above Manhattan, the Empire State Building was the tallest in the world for many years. The Art Deco style building is an essential attraction for visitors to the city who come to gaze at Manhattan from its observation decks. Even waiting in line in the lobby is an experience in itself, as the lobby’s ceilings are artistic wonders of art deco murals rendered in 24 karat gold and aluminum leaf. The 86th floor observation deck is open-air, allowing visitors to see all of Manhattan from 360 degrees as the deck wraps around the building. 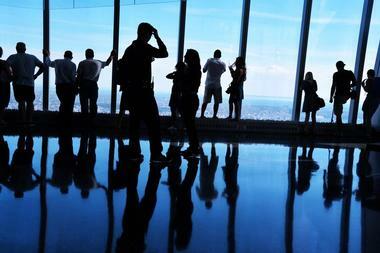 The 102nd floor observation deck is enclosed, and on a clear day visitors can see up to eighty miles away. The building has restaurants, gift shops, and restroom facilities. 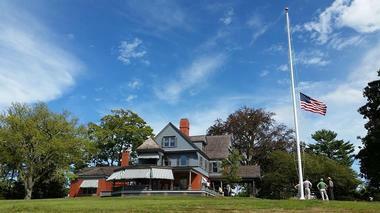 Sagamore Hill was the home of American president Theodore “Teddy” Roosevelt from the time it was built in 1885 until his death in 1919. During Roosevelt’s childhood, his family took many extended vacations to the Oyster Bay area, and when he was twenty-five years old, Roosevelt purchased an extensive tract of land and had this beautiful Queen Anne structure built for himself and his family. He spent considerable time there while in office, and the home became known as “The Summer White House.” Reservations are recommended for those wishing to tour the interior of Sagamore Hill; there is also a visitor center with a small museum containing Roosevelt family artifacts. 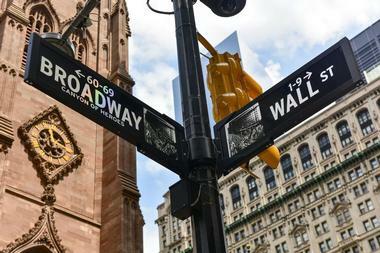 Broadway is the principal theater district in Manhattan, New York City. It is home to forty-one professional theaters of over 500 seats apiece; the 500 seats are necessary for Broadway shows to be eligible for a Tony Award, which is the hallmark of excellence in American theater. Broadway shows are an immensely popular attraction for both tourists and locals; the 2014-2015 season sold over thirteen million tickets. Broadway has a long-standing tradition of musical theater, which dates back to 1866 and peaked in the 1950s and 1960s with shows such as Oklahoma!, West Side Story, and Fiddler on the Roof drawing rave reviews and a multitude of theater-goers. Old Westbury Gardens and Westbury House were the home and property of John Shaffer Phipps, a United States steel magnate, and his wife and four children. The beautiful Charles II style house, full of antiques and fine art, sits on two hundred acres of landscaped gardens, ponds, woodlands, and orchards, which can be enjoyed privately or admired during an in depth docent-led tour. Old Westbury Gardens offers educational programming for children, school groups, and adults, and its grounds are often host to classic car shows, outdoor classical music concerts, summer pop concerts, and book signings. Educational programming for school groups follows the New York State curriculum, and it is available for classes from kindergarten until 12th grade. The Antique Boat Museum sits on 1,500 feet of St. Lawrence River shoreline and has the largest collection of antique boats in North America. It has an outstanding collection of antique canoes, an exhibit that traces the evolution of boat building, and offers a look at the history of boating on the St. Lawrence River. Open May until October, the Antique Boat Museum grounds are home to the annual Antique Boat Show and Auction, which brings boat aficionados from all over the world to Clayton. Every other year, the Antique Boat Museum holds a charity regatta. 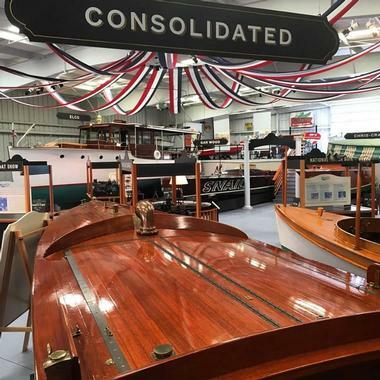 With slide shows, videos, and an excellent gift shop, the Antique Boat Museum is a must-see for boat lovers. A part of the West Side Tennis Club in Forest Hills, New York City, Forest Hill Stadium was constructed in 1923 and renovated in 2013 to host tennis tournaments and diverse musical events. The West Side Tennis Club, located in New York City’s borough of Queens, is a private tennis club with 38 tennis courts with clay court, grass court, Har-Tru, and hardcourt surfaces. It also has an Olympic-size swimming pool. 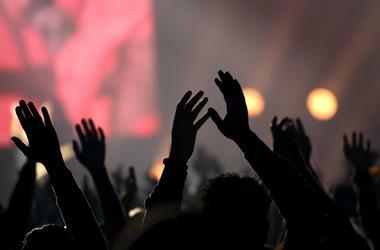 The stadium has 14,000 seats and hosts outdoor tennis events as well as live concerts. It is known for hosting 60 U.S. National Championships, from 1915 to 1920 and from 1924 to 1977, and for hosting the finals of the Davis Cup. During its peak popularity, the stadium was the venue for great concerts with such names as The Beatles, Bob Dylan, The Rolling Stones, Barbra Streisand, Paul Simon, Frank Sinatra, Jimi Hendrix, and many others. The stadium was also the venue for the Forest Hills Music Festival. The Metropolitan Museum of Art, known as The Met, is in the heart of New York City, and it is one of the finest and most-visited art galleries in the world. 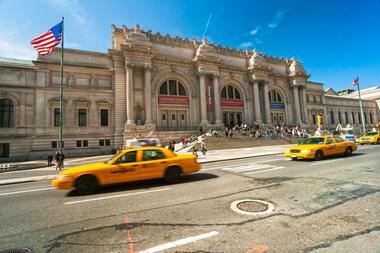 The Met has over two million works of art spanning 5,000 years, and it represents art from the entire world. The Brooklyn Botanical Garden, which sits in the heart of one of New York’s five boroughs, is a delight to local residents and visitors. It is best known for its Japanese Garden, one of the most visited outside of Japan; it features two dozen flowering cherry trees, a Shinto shrine, wooden bridges, and stone lanterns.